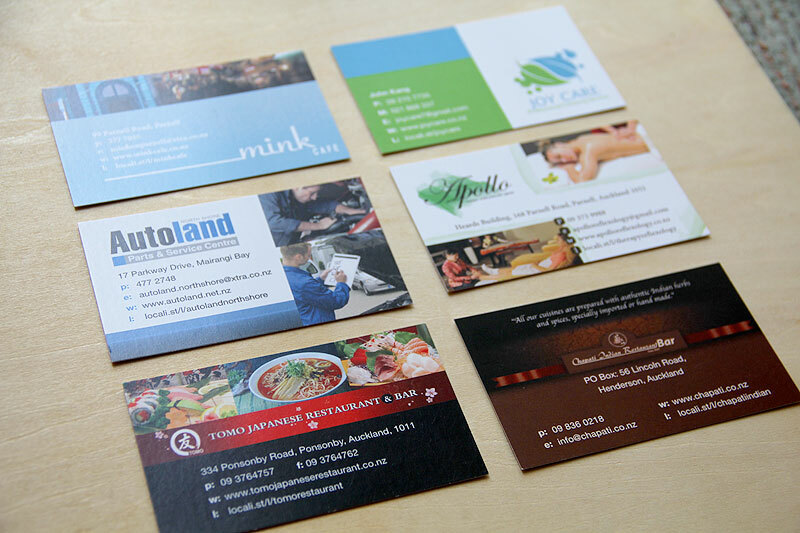 These are some of the business cards I have designed for clients around Auckland in the last month. The turnaround for these clients has been quite fast. In most cases they were able to approve the artwork from the first proof. If you have some good quality imagery and a high resolution version of your logo we can get to work straight away. Otherwise sometimes purchasing stock imagery that represents your business is a cost effective way to quickly obtain high quality imagery to glam up your brand and looks great on a digitally printed business card.